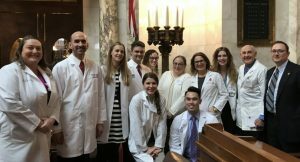 The Wisconsin Surgical Society again participated in Doctor Day at the State Capital on January 30th. Approximately 450 physicians and medical students participated in the event. As in prior years the morning session included individual breakout sessions, legislative overviews, and guest speakers with this year’s Key Note address given by Governor Scott Walker. The overarching priority policy issues addressed were: the HOPE agenda, Workers Compensation, Network Adequacy, High School Comprehensive Health Exam, and Nursing Collaboration with Physicians. Please see the attached issue briefs for further information on these topics. 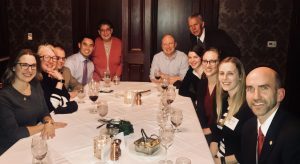 The WSS was well represented with surgeons from general practices and sub-specialties, urban and rural centers, academic and private institutions, from medical students and residents to retirees, repeat attendees to “first-timers”. Over the course of the day 17 people participated with the WSS from 11 different institutions from around the state. New this year the WSS presented a “Stop the Bleed” Booth to inform other physicians of the availability of this training. This was a specific WSS topic discussed with individual state representatives, which generated much interest and support. This year’s attendees included: Arthur Angove, D.O., Michael Bentz, M.D., Kelly Boyle, M.D., Stephanie Carr, D.O., Thomas Castillo, D.O., Christopher Davis, M.D., Liska Havel, M.D., Nicholas Kitowski, M.D., Jonathan Kohler, M.D., Amy E. Liepert, M.D., Tracy McCall, M.D. ; Joanne Pasiuk, M.D., Bret Pasiuk, M.D., Jennifer Roberts, M.D., Christopher Johnson (ACS staff), Terry and Terry Estness (WSS Staff). Participation in this State Physician Lobby Day is important for a number of reasons. 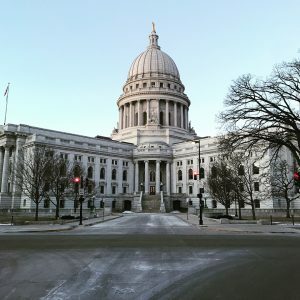 Wisconsin has a very strong state medical society, The Medical Society of Wisconsin (WMS), that has a well-respected and impactful lobby within the state legislature. This is incredibly important to influence policy from a medical perspective. It is not infrequent that legislation is proposed that seems logical or reasonable but may include a detail or requirements that would ultimately harm or disadvantage patients or the physicians caring for them. While the primary objective is not to be protectionist only to physicians, it is important that access issues for patients and work conditions such as avoiding burnout have attention brought to them. Advocacy days and on-going engagement in health policy advocacy are a way in which to educate our elected politicians to our profession, our patients, our impact on our communities and to address specific legislative agenda items. The WSS’s goal for Doctor Day is to raise awareness of surgical perspectives, to maintain a surgical presence, and to educate other physicians to surgical patient and specialty issues. Surgeon engagement in health policy is important to support general medical policies that can directly or indirectly influence surgical practice as well as to develop relationships to order to build alliances for support of specific surgical policy as they arise. One such example of this is the “Stop the Bleed” campaign and the video legislation policy. While each of these can be consider surgery-centric, they have a public health impact on all of society and therefore every physicians’ patients. Video Recording of Surgical Procedures was introduced again as LRB 0422/1. This has previous been reported on here in the WSS Blog. While this bill is unlikely to gain support that would allow it to progress along the legislative process, it is important to stay diligent as policy can change relatively quickly. The bill is proposed as a patient protection and safety proposal, however, the regulatory and financial requirements are extensive. This was the first bill of its kind to be introduced in the country and other states have begun to follow suit, without any legislation being passed to date. It is often referred to as the “surgical Black Box” referring to the flight recording technology in aviation. As written, the current Bill would require all procedures that utilize sedation to be audio-visually recorded with extensive additional requirements. These recordings would be part of the discoverable medical record and the cost of obtaining the recording, data management, and all of the administrative burden would be assigned to health systems. Doctor Day is an opportunity to discuss specific policy with legislatures and raise the awareness of surgical agenda items and perspectives within the greater house of medicine, however the most important aspect of this event is the multitude of relationships that are initiated and undergo further development. These relationships include those amongst our WSS member attendees, those amongst our colleagues within other specialties of medicine, and the development of relationships with our elected home district legislators and their staffs. Those relationships and future influence are the most important benefit long term of Doctor Day, but short-term it is a fun day with colleagues teaching others about what each of us loves. Would mandate audio and video recording of surgical procedures and make them part of the patient record. Mandatory recording would stifle interactions amongst the surgical team creating an adversarial “gotcha” environment in the operating room potentially putting the patient at risk and reducing quality of care. Wisconsin currently has one of the highest return to work rates in the country. Reducing the medical fee schedule payment to physicians treating worker’s compensation patients could result in reduced access to care for patients extending recovery times for injured workers and drive up costs for employers. 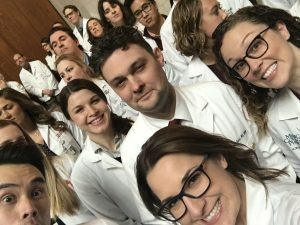 The American College of Surgeons opposes legislation prohibiting MOC because it interferes with the right of the profession to set standards for patient care, interferes with employment contracts of hospital medical staffs, and denies patients the right to know the continuous education standards of their physicians. 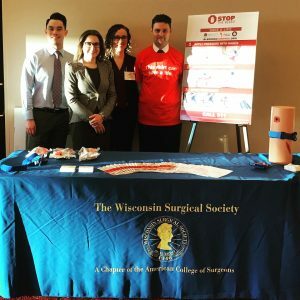 The Wisconsin Surgical Society is a chapter of the American College of Surgeons. Its purpose is to advance the science and practice of surgery, in its various branches. It was founded over 70 years ago and serves as an organization to effectively network surgeons for the dissemination and exchange of information with the purpose of advancing patient care. 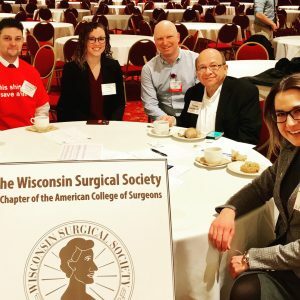 The Wisconsin Surgical Society represents over 150 surgeons from throughout the state that strive to ensure Wisconsinites have access to high quality surgical care.